Many of our clients utilise our experience and expertise to properly manage both the storage and the shipment of their exhibition equipment. So even after we’ve created and sold an exhibition stand to a client, we can also go a step further and help you store it so that it will remain in tip-top shape for your next event. We’ll gladly store your exhibition booth in our warehouse, where it will be checked carefully before it goes out again. You can ship your stand to any part of the world while resting assured that all the equipment you need is in the best condition possible. 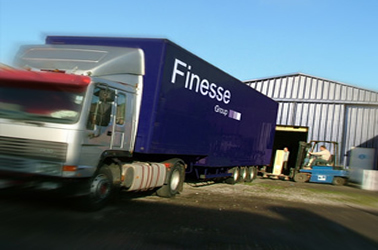 Plus, European and UK transport is completed by our own fleet of lorries, which means we’re always in complete control over the entire shipping process.